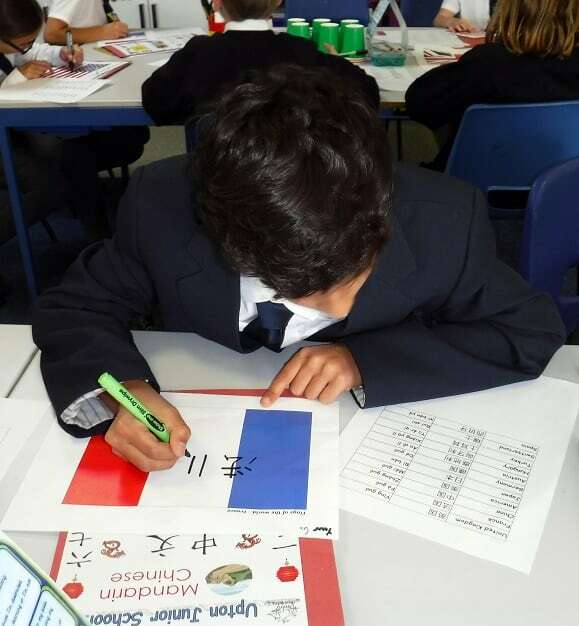 Mandarin, regarded as one of the most important languages in the world, is being taught to children at Upton Junior School in Broadstairs. As well as speaking and writing at a basic level, Mandarin is being integrated into other subjects. 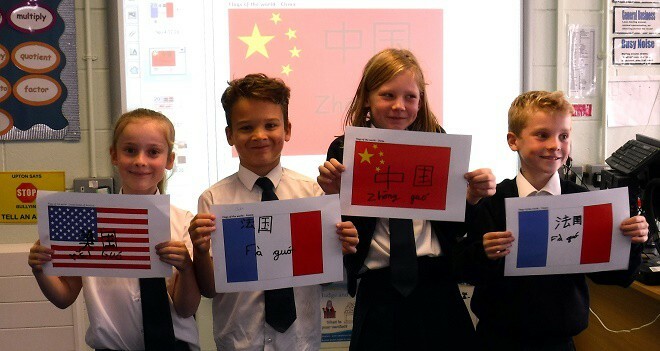 For example, the centenary of the end of the First World War is a topic that has been focused on in recent weeks and Year 4 children have learnt the names of countries involved in the conflict in Mandarin and have also written the Mandarin characters for the country on the relevant flags. 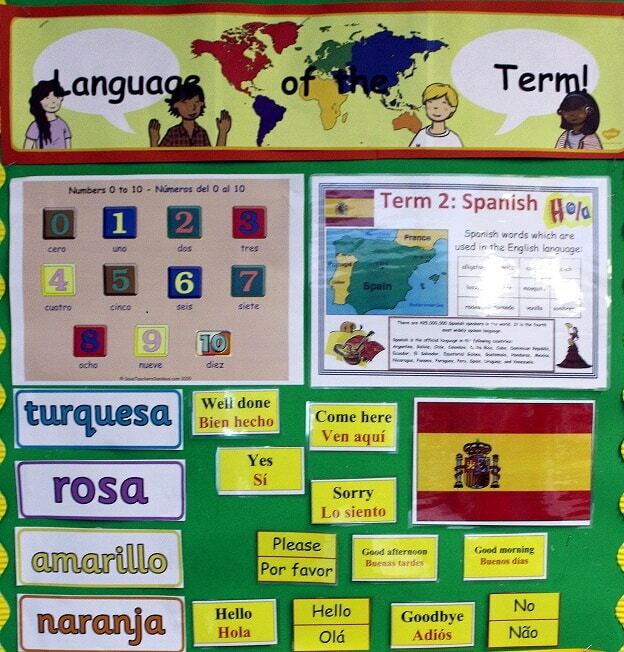 Deputy Head of School Dave Walker said: “Schools are required to teach modern foreign languages and have the flexibility to choose. “Mandarin Chinese opens up a world of opportunity – as the most spoken language in the world, it can connect speakers with an exciting and dynamic culture. Plans are underway to further expand the Mandarin experience at Upton. Mr Walker added: ”We are currently progressing towards a mutual project with the Broadstairs English Centre that could see Chinese students link more directly with the school in the future..
Upton also features a Language of the Term that links to ‘home’ languages of some of its pupils and Year 6 pupils are preparing for their move to secondary education by linking to French penpals. 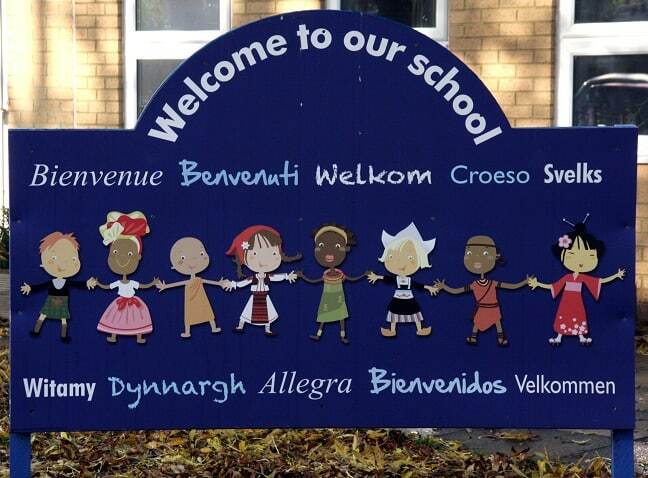 As well as multi-lingual displays around the school in corridors and classrooms, Upton features a greeting board outside the main reception welcoming pupils, families and visitors in ten different languages. Mandarin is a group of related varieties of Chinese spoken across most of northern and south western China. The group includes the Beijing dialect, the basis of Standard Mandarin or Standard Chinese. Mandarin is spoken by around one billion people in China. It would be a step in the right direction if they got to grips with English, if the standard of comments on here is anything to go by.